I really, really like to see my bloggy friends in real life. Seriously, for me, it's one of the highlights of blogging. Unfortunately, due to my commitments here on The Avenue, I'm not always able to participate in the events. When Melisa emailed me last week asking if I'd like to attend an event in a nearby suburb, I was so eager to reply that I misread her email and responded as quickly as I could wondering if there would still be room for me. 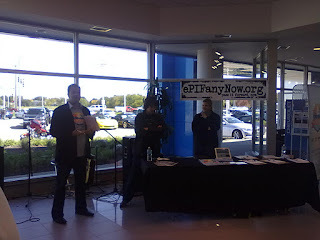 For the event we participated with ePIFany Now, a not-for-profit organization commited to creating positive change. Our goal was to spread kindness throughout the community. 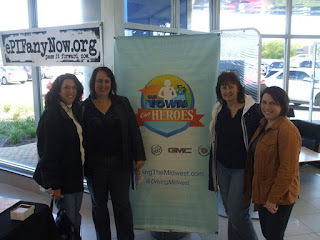 Although this wasn't a competitive event Melisa, Dawn, Amy and I dubbed ourselves Team 1 S. There were about 80 volunteers present, including fellow bloggers Tracey and Farrah. Each group was given some gift cards and a list of ideas on ways to make a difference and instructed to have fun. As their way of spreading joy and kindness, Chevy provided our team with a smokin hot red Chevy Volt for our little adventure. I don't normally get excited about cars. I put in the key and drive. If the car does that and looks pretty I'm happy. But I have to admit this vehicle was sweet. First off, there was a key, but you pressed a blue button to start the car. It's electric! The gas mileage was unbelievable, up to about 100 MPG. 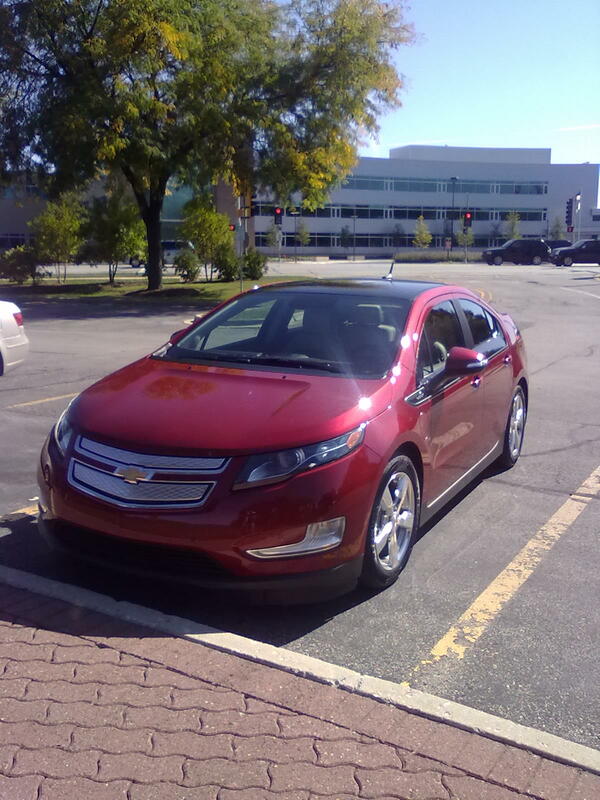 You can drive 40 miles on a single 10 hour charge, switching over to gas when needed. If you take short trips, you wouldn't use any gas at all. It wasn't a sluggish putt putt of a car either. It was so quiet you could barely hear the engine and being a tall girl, I was very impressed with the amount of leg room in the back seat. The cost was a bit pricey, however there is a full tax credit of $7500 for qualifying buyers and there is also the fuel savings to take into consideration. Plus it's really pretty. You know, if that matters to you. 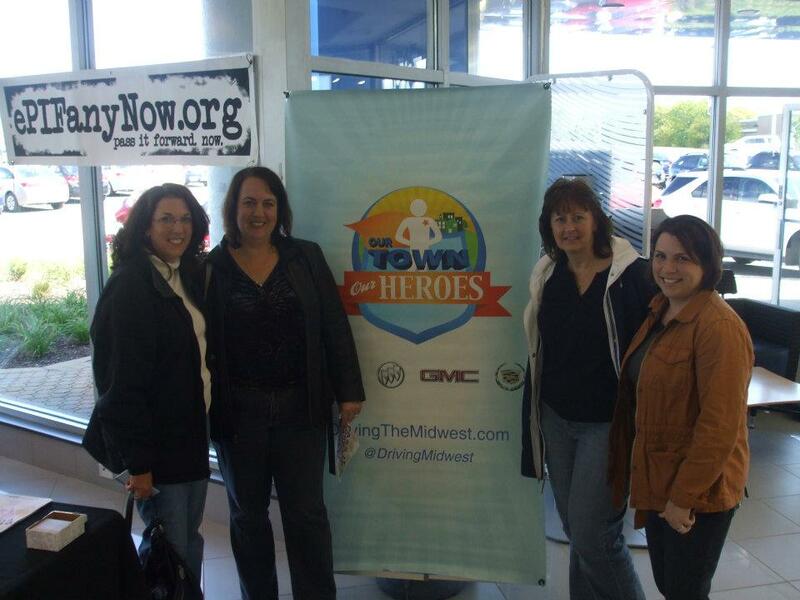 After we familiarized ourselves with the Chevy Volt, we headed out to spread joy and kindness. 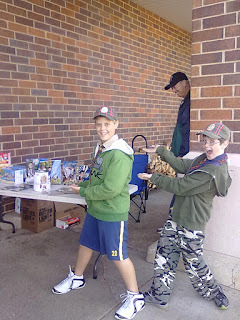 Our first stop was at the local grocery store where we made a donation to the Boy Scout troop selling popcorn outside. Then we headed to a gas station to buy some scratch off lottery tickets, because who doesn't dream of winning the lottery. It was a beautiful Saturday afternoon and our team decided to walk along the river walk approaching people to tell them of our mission and hand them a bag of popcorn and a lottery ticket. We were met with a gamut of reactions. Most of the families we approached were happy to talk to us, the elderly couples were as well. Some of the people walking alone brushed us off with a quick no thank you. Which made me wonder how I would react, had I been on the other side of the conversation. I'm often too rushed to stop and listen to someone's pitch and please don't ring my door bell selling something, because that really annoys me. But we weren't selling, we weren't asking for donations, we just wanted to make people smile. We were smiling. I think we appeared non threatening, 4 middle aged (sorry Amy) women taking a walk. And yet people didn't want to be bothered. I kicked it up a notch by approaching vehicles stopped at the intersection. The driver tried to wave me off, but I persisted. Talking through a closed window and slowly, the window came down and I handed them a ticket and and told him to have a nice day. I ran up to a motorcycle. The guy just looked at me and as he started to comprehend what I was saying, a smile formed on his face. It only takes a SMALL act of kindness to make someone's day. I think we accomplished that on Saturday. I know I came away feeling like I made a difference. I just wish there was a way to find out if any of those tickets were winners. Ah, so that's what all those silly tweets were about. This wounds like it was a wonderful event! That sounds like a blast! I suspect I would have been on the suspicious side if I was approached at first, but I still really love this idea! Aww, I was so bummed to misss this. I love the idea and the concept behind this PIF program. 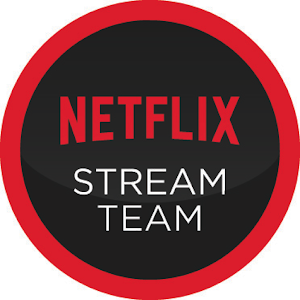 We could all use that, right? So so much fun - glad you guys enjoyed it, too!